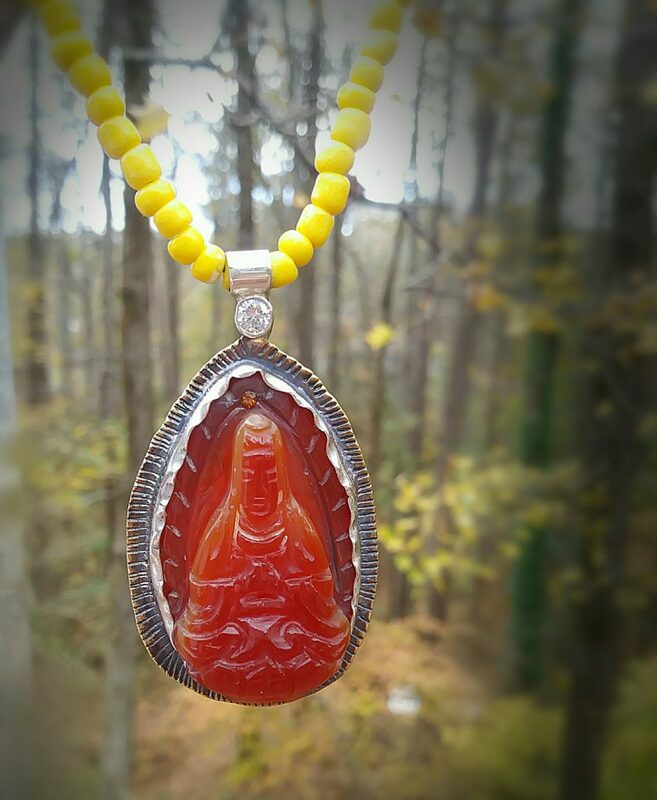 A carved orange carnelian buddha set in sterling silver and brass, strung on yellow trade beads. 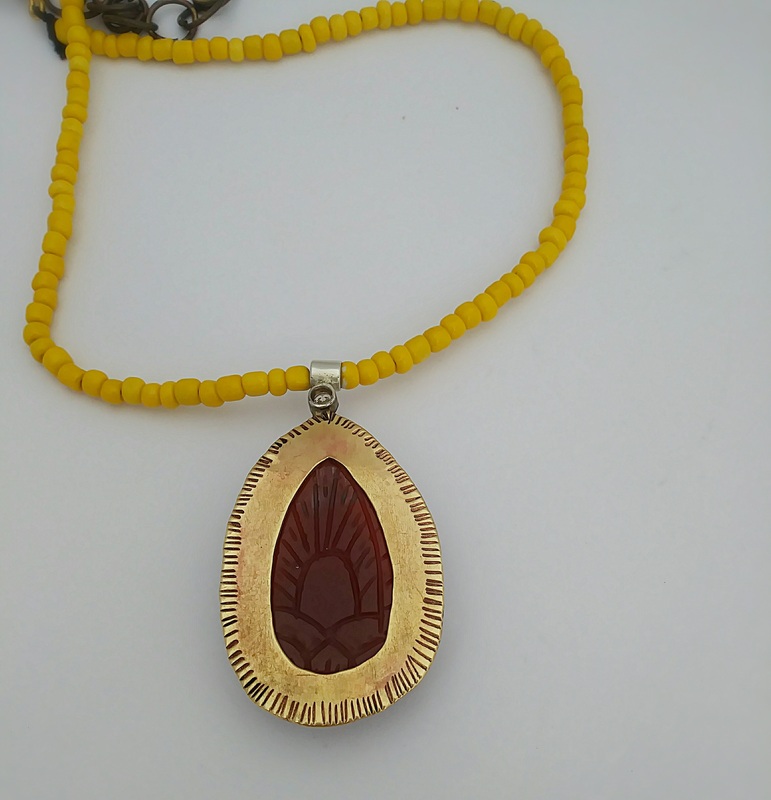 Adjustable from 15" to 20". 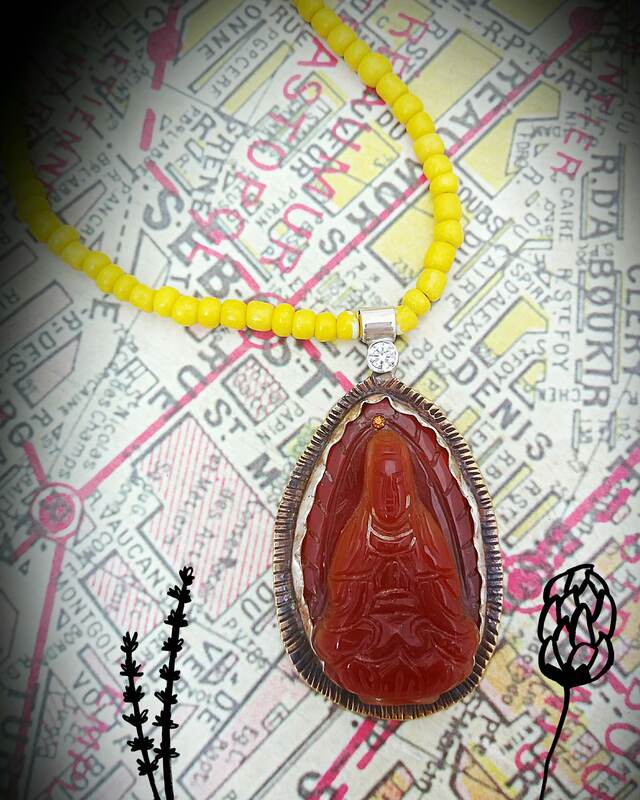 A stabilising stone, Carnelian restores vitality and motivation, and stimulates creativity. 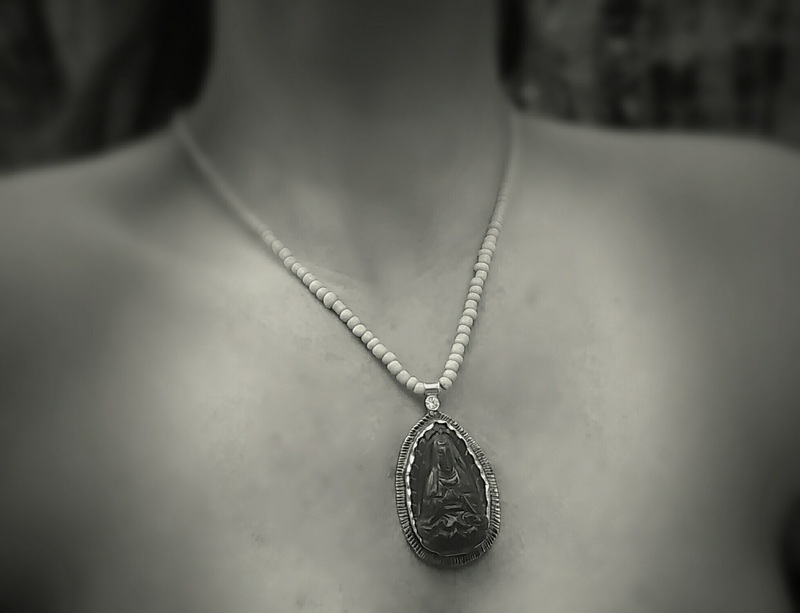 It gives courage, promotes positive life choices, dispels apathy and motivates for success. Carnelian is useful for overcoming abuse of any kind.